First brewed in 1958 to circumvent the need for the importation of European beers, Steinlager has grown to become New Zealand's most internationally recognised beer brand and is the country's leading export beer. 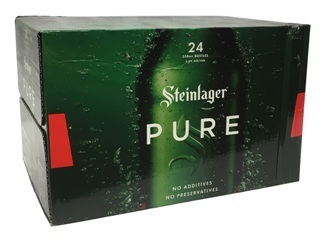 Steinlager has a crisp and clean taste that has earned it international award winning status. It has a grassy note and clean crisp bitterness, characteristics distinctive of the best New Zealand green bullet hops. It is a balanced beer with a dry, astringent finish.